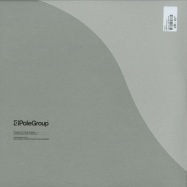 breakage begins 2017 with elmhurst dub b/w anymore, two tracks that make up the first release on his new label index . index also operates as a club concept where breakage curates events with artists from the electronic music genre. something special from camp critical as two of electronic music’s leading lights lock horns for a vs battle of epic proportions. taking the jungle fleck of “mind & spirit” from sam’s “wasted days” lp of last year and one of breakage’s most memorable cuts from way back when (2005), the results are as you’d expect from these two. 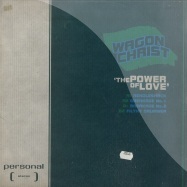 utterly essential listening. 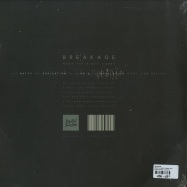 double vinyl featuring 4 tracks from the new breakage album *when the night comes*. 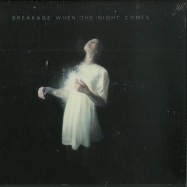 the first single taken from breakages new album *when the night comes* on digital soundboy. 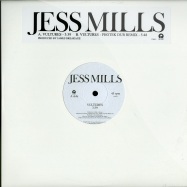 jess mills is on everyones lips at the moment as she sets the barrier high with her single >vulture< – which is actually out today. 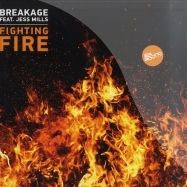 having worked alongside digital soundboy main-man, james breakage, providing the vocals for his track, >fighting fire<. breakage has returned the favour by producing >vultures<. 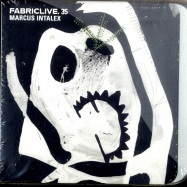 theres a moody photek re-edit on the flip, if you know what rupert parkes is capable of then you wont give this one a miss. 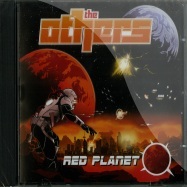 limited to 250 vinyl. 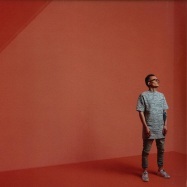 shy fx is following on from his production on wiley & naughty boys >never be your woman< single (which charted at no. 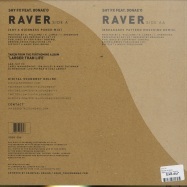 9 in feb 2010), >raver< is the street single and debut offering from his forthcoming studio album >larger than life<, due for release in 2011. raver comes complete with remixes from mj cole & benny page, but on this ltd edition 10 inch press we give you shys very own superb dubby guiness punch mix and breakages retrospective pattern moschino remix for the original jungle heads! its a limited run so grab them while you can! the original soundboy steps forward once again. so it is that. >fighting fire< drops at a very exciting moment for james. 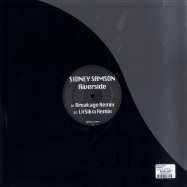 after his slew of successful remixes, his star is shining bright over his south bank studio, and he felt it was time to put out a piece of 100% breakage material. and in true boyle style its a track that doesnt allow itself to be pinned down. part trance, part progressive house, part dub-step, its a track that defies categorization while remaining resolutely breakage in sound. 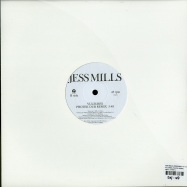 featuring the enigmatic vocals of jess mills, its the magic combination of james punchy production and jess cinematicvocal performance which makes the track as powerful on your headphones as it does in the club. look out for plenty more from these 2 throughout the year, as james is adding his production to her debut album for island records. an exciting prospect indeed. 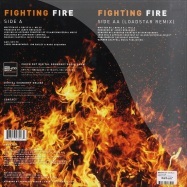 also check for heavy remixes from foamo & ram records duo loadstar. magnetic mans third single >getting nowhere featuring john legend<, taken from their top 5 self-titled debut album, released here on 12 inch vinyl. 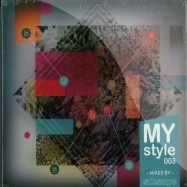 featuring a spacey, ethereal remix from one third of magnetic man, skream. 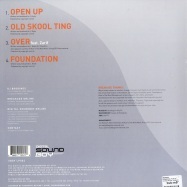 on the flip is a dark, liquid drum & bass remix from digital sounboys breakage followed by the original cut from the album. 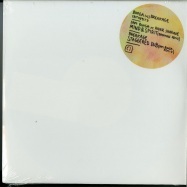 2005 jungle flavored release by breakage back in stock. breakage aka james boyle is never been one to be pigeonholed. moving effortlessly through styles from drum and bass to dubstep, breakage has proved himself to be one of the most versatile operators in either scene to date. 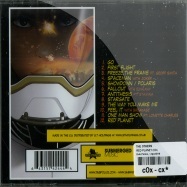 taken from the album >foundation< by breakage, featuring donaeo and erin. james boyle aka breakage ist zurück und veröffentlicht sein neues album when the night comes auf shy fxs label digital soundboy. 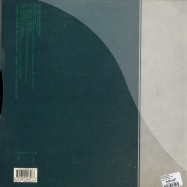 seit das kultlabel reinforced 2001 dem damals 17jaehrigen produzenten sein debüt mit der numbers ep gewährte, steht breakage für die wiederbelebung und transformierung von jungle ins hier und jetzt. when the night comes ist ein schönes album mit der soundästhetik und deepnes eines burials oder malas. absoluter underground dance tipp! 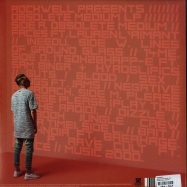 rockwell’s long awaited debut album ’obsolete medium’ as transparent triple vinyl plus cd. typically punk from its inception ‘obsolete medium’ is an electronic adrenaline shot that mixes straight up hard-hitting d&b with sonic experiments that will leave jaws well and truly dropped. including collaborations with some of his most respected peers namely sam binga, breakage, phace and hyroglifics, rockwell delivers a truly engrossing album encapsulating his growth from drum & bass through to one of the most accomplished music producers and dj’s to have emerged in recent times. 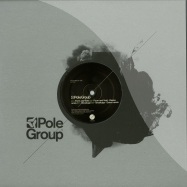 after his debut on polegroup last year with a track hate selected for the compilation release unknown landscapes - ep 1, kwartz makes a proper return to the label with form and void ep. hailing from madrid, dj and producer kwartz started his career in 2011 and within fairly a short time he has developed and refined his own hypnotic, dark and enveloping techno. 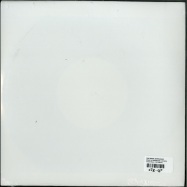 amongst notable releases to date is his first vinyl ep fenomen (2013), a joint release with pole group artist exium on their nheoma imprint. house of black lanterns is the new project from dylan richards, formerly known as king cannibal (ninja tune) and zilla (warp). 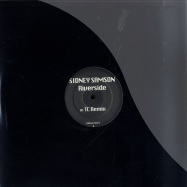 the massive riverside gets a release on data with drum & bass mixes from the mighty tc dubstep from breakage & uk funkee from lil silva. what a package!! 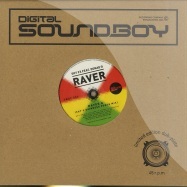 digital soundboy, das 2005 gegründete label von shy fx, einem der protagonisten des 90er jungle, zählt zu den besten labels der britschen bass music-szene mit konstant qualitativem output. nun hat sich shy fx mit seinen künstlern breakage und b.traits zum digital soundboy soundsystem zusammengetan und für fabric ein einzigartiges mix-album gezaubert: ganze 49 tracks werden in 72 minuten verbraten, darunter viele exklusive digital soundboy-dubs, die hier zum ersten mal das licht der welt erblicken, garniert mit perlen anderer top-labels wie tempa, metalheadz, 50 weapons, enchufada oder night slugs. 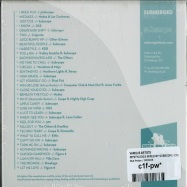 eine hälfte dubstep, die andere hälfte drum & bass, beide mit einem tracklisting vom allerfeinsten - diese cd ist wieder ein schillerndes unikat in der traditionsreichen fabric-serie. 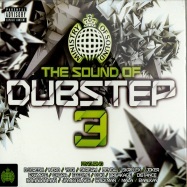 the series, respected as one of the most popular yet credible dubstep compilations is back with an album to define the sound of 2011. an upfront and up to date selection brings forth 40 of this year s freshest tunes including five exclusive, unreleased tracks, and blazing remixes such as trolley snatcha s chase & status remix, excision & datsik and distance. 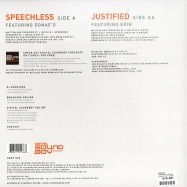 ministry of sound provides another epic experience across 2 cds of low bass frequencies. 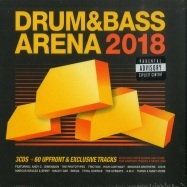 the finest instalment to date covers the whole spectrum with radio 1 favourites skream, benga and nero to the gritty sounds of skrillex, caspa, doctor p in addition to no. 1 chart smashes from example and the almighty dj fresh. D Double E - Bluku! Bluku! 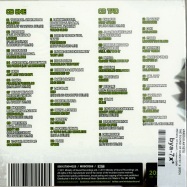 a 40 track collection of top dubstep tracks of 2011, contains 14 exclusive tracks. 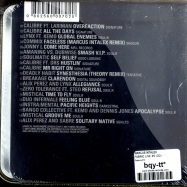 features tracks from: nero, doctor p, benga, skrillex, deadmau5, rusko, breakage, caspa, mj cole, flux pavilion, redlight, brookes brothers, kryptic minds, and others. 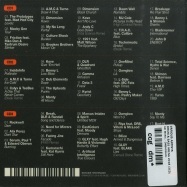 42 tracks - 2 cds!blazin d&b mixed by friction & fabio!